APPRECIATION is a strong word, and one we tip our hats to gladly. 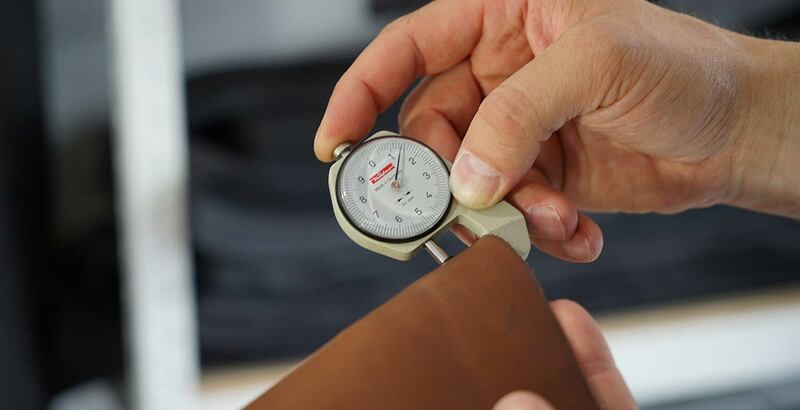 And for us, that begins with 100% German-made and keeps going with pure vegetable-tanned, premium Italian leather. It’s a pity that we can’t feel through our screens. High quality leather is like silk, but not so cool. You can scrunch it up and it doesn’t even wrinkle. 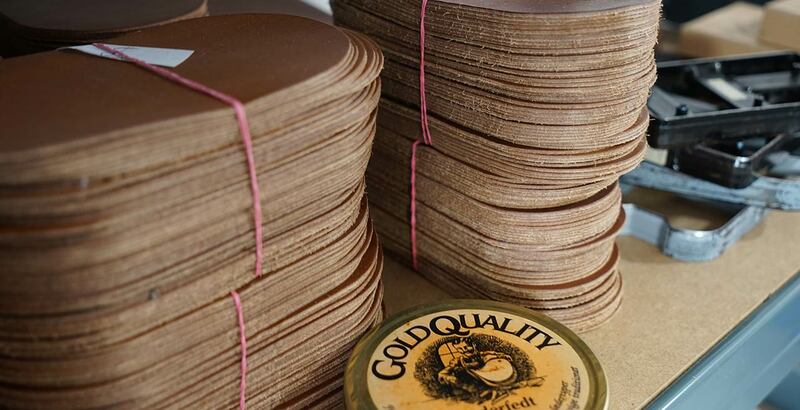 You could feel it for yourself if you had one of our vegetable-tanned leather products in your hands. Always in top form. We asked ourselves, how each product can be uniquely handmade and yet perfectly accurately in every aspect. The answer: Specialized dies, tailor-made for us. This means that we only ever punch one piece at a time. As a result, we have forearms like Popeye, and you have the guarantee of “WOW”-grade quality processing! A wisp of nothing can make all the difference (as we know from other situations). Your Pack & Smooch will be there with you through thick & thin. Why? 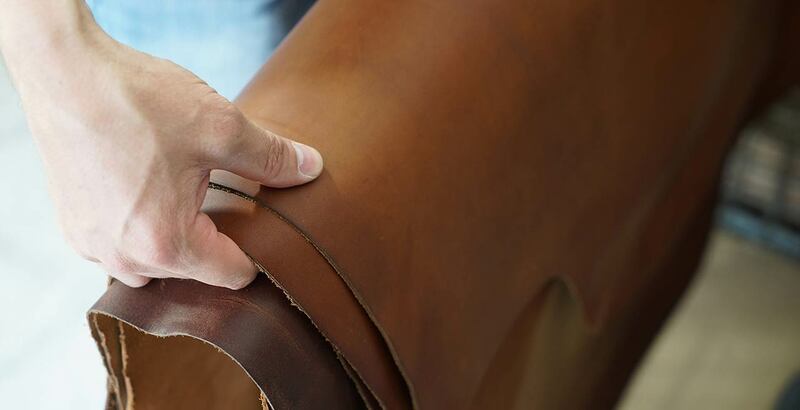 Because we work hand-in-hand with our raw leather through thick & thin, right down to the finest detail.